THIS OFFER SAVES YOU TIME, MONEY AND YOUR HAIR! Includes 5 topical products for a clean healthy scalp and hair that allows your hair to grow to it’s full diameter! The first product in the line is what most on the market are missing “Scalp Therapy”!!!! This dissolves and cleans out clogged follicles from sebum and product buildup to allow the follicle to be open to accept the minoxidil. The SLS Free Shampoo is free of Sodium Laureth Sulfate which is in most brand name shampoos that strips the hair of its natural oils and makes sebaceous glands over excrete. With one use of this shampoo, clients notice they have to wash their hair less often and it becomes shinier and over all healthier. The Vitamin Plus Conditioner is full of 25 essential vitamins and minerals that leave hair feeling soft and supple and can be used as a leave on conditioning mask for 30 minutes for very dry to brittle hair to restore and revive. The Complete Vitamins are DHT Blockers that form a bind around your androgen receptor on the inside of your follicle to block DHT from adhering and suffocating the follicle from the inside. AA Plus is for clients with Shell Fish allergies. These do not include the marine concentrate that is in Complete. So make sure to choose the 3 Month Supply Program that fits you. Lastly, our Minoxidil is different from all other minoxidils on the market because most use on average a 70% filler of alcohol, which is a cheap filler. If you think about a cut or an irritated scalp you wouldn’t want to put alcohol on it. That would hurt and the follicle would contract and the product will simply sit on top of your scalp. Most clients come in having used this and complain of itchy and flaky scalp for this exact reason. Our Minoxidil has a Carrier Lotion that soothes your scalp and allows follicles to be in the most open position so the minoxidil can penetrate to the deepest level in your follicle. Our offer is the whole 3 month supply with FREE SHIPPING ($15) value. Stop wasting money on products that have doctored pictures or fictional research behind them. Order from a Real Hair Restoration Certified Salon who is affiliated with a company that has 43 years of research behind its product and thousands of clients that have had their lives changed by using this program. FOR ANY QUESTIONS, PLEASE FEEL FREE TO HAVE A CONFIDENTIAL PHONE CONSULTATION AT 651-795-9785 OR SET UP A COMPLIMENTARY CONSULTATION. DON’T WORRY ABOUT YOUR HAIR LOSS ANYMORE. STOP IT IN IT’S TRACKS WITH HAIR LOSS SOLUTIONS INC. TODAY! 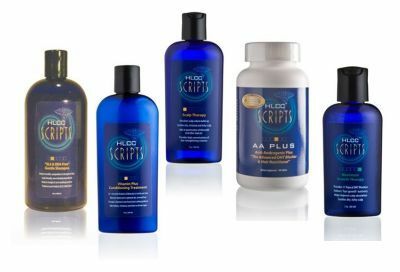 Browse through our 3-month supply selection of hair loss product packages to find the one that’s right for you. Hair Loss Solutions in Oakdale, MN is dedicated to helping you fight your hair loss with top quality HLCC products. Please note packages are organized according to your health and allergy status. Maximum Growth Therapy (MGT) 2 oz.